COA is rolling out the red carpet for our 21st Annual Hollywood Gala! While Hollywood’s brightest stars are honored at this year’s 91st Annual Academy Awards, COA will also honor the stars that support Milwaukee’s children and families. Join us at our 21st Annual Hollywood Gala for a night to celebrate our successes, honor our supporters, and watch a live screening of the Academy Awards. COA’s 21st Annual Hollywood Gala will be held at the Hilton Milwaukee City Center (509 W Wisconsin Ave) on Sunday, February 24th. A cocktail reception and silent auction kick off at 5pm, to be followed at 7pm by a gourmet meal and a live presentation of the 91st Academy Awards. During commercial breaks you’ll learn about COA’s exciting achievements in 2018, our stand-out participants, and you’ll have chances to join our mission to strengthen Milwaukee! At this year’s gala, all funds raised will support COA’s programs that reach over 10,000 children and families each year. Even if you can’t make it to the Gala, you can still support COA by joining in online to bid on exciting silent auction items during the event. Locally-produced crafts and foods, gift cards to local restaurants, spa treatments, excursions, and all-star access to Milwaukee attractions are just a sample of the items we will have on offer! Get early auction updates by registering online today at coa2019.givesmart.com! This year’s Oscar Nominees for Best Picture will be announced on January 22nd! COA Youth & Family Centers’ history is deeply rooted in the American Settlement House movement. The underlying foundation of this movement was that a holistic approach is essential to give children and families the tools to become self-sufficient. And more than a century later, COA continues to provide families with a holistic array of services to give children and families these tools to become stronger, healthier, and more self-sufficient. 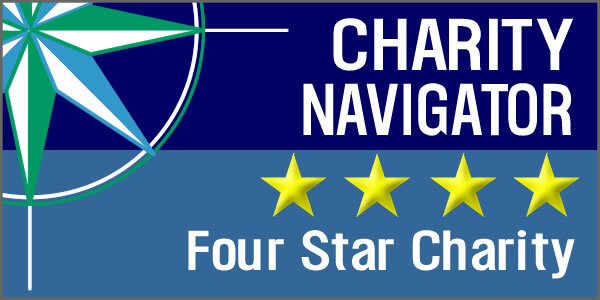 For nine consecutive years, COA has received a four-star rating from Charity Navigator, a national evaluator of nonprofit organizations. Only one percent of the nation's charities have received the highest four-star rating for twelve consecutive years. When I was 20 and a new mom, I found the Family Center. At 22 with 2 kids, the center saved me time and time again. Today, 42 and pregnant with 4 kids under 3years old in my care, you brightened my rainy day as usual. So grateful for this resource! "COA is a lifesaver!! We go stir crazy in the house. The kids love it here. I need to feel a social connection with other parents. I get so bored and lonely and isolated home with the kids all day. Also – social interactions for the toddlers is invaluable." "I come to the COA to expose my son to other kids, so he can interact and learn from them. I appreciate the many different people from different cultures and walks of life. I love all the difference art projects that my son can try without messing up my house." "I come to COA because it is an awesome, clean, friendly environment that is very well-suited to my kids. I also really appreciate the educational aspect of drop-in, such as crafts and songs. My kids would not be the same had we not been coming to COA. Thank you Anne and COA."